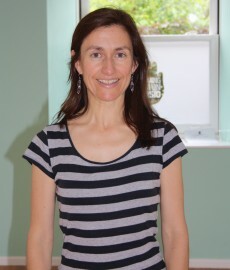 In 2006 Lucinda completed her MSc in Advanced Musculoskeletal Physiotherapy at UCL and has worked in the NHS and at The Manor Hospital in Oxford. She is also a fully qualified APPI Pilates Instructor. Abbe qualified with a first class honours degree in Physiotherapy at Oxford Brookes University in 2013 and has previously worked for the Oxford Health Trust. She has particular clinical interest in sports rehabilitation, the management of musculoskeletal conditions, and post-operative orthopaedic rehabilitation. As well as being a Chartered Physiotherapist Abbe is also a fully qualified ITEC Sports Massage Therapist and APPI Pilates Instructor. Margaret graduated from the University of Salford. She has over 10 years clinical experience in the NHS, working in various settings. 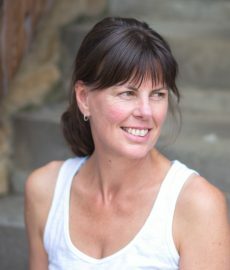 She now focuses on musculoskeletal physiotherapy, is trained in acupuncture and is an APPI trained Pilates instructor. Margaret previously trained as a dancer and continues to work with the Royal Ballet Junior Associates. Her special interest is in treating young people with musculoskeletal and sporting injuries. Louisa-Anne qualified at Oxford Brookes University in 2004 with a BSc (Hons) in Physiotherapy. She specialises in musculoskeletal physiotherapy and her special interests include knees and shoulders as well as jaw pain. Due to these interests, in 2008 Louisa-Anne completed a diploma in orthopaedic medicine and then further qualified in western pain acupuncture and more recently has qualified in administering cortico-steroid injections. Qualifying in 2002, Ellen Armitage is an experienced physiotherapist who specialises in neurological physiotherapy for adults. She has international experience of both inpatients and outpatients, across many settings. Ellen has extensive and varied skills having treated a variety of neurological diagnoses including stroke, traumatic brain injury, MS and Parkinson’s amongst many others. She has worked with many other highly specialist neurological professionals in the treatment and management of patients. Hannah teaches Pilates with us. She qualified in 2007 having first completed a BSc in Human Biology and then an MSc in Physiotherapy at King’s College London. Since qualifying she has worked in the NHS in Stoke-on-Trent and then Oxford. Hannah is an experienced instructor who enjoys working closely with her clients to enable them to get the most out of her classes. Bridget is a fully qualified pilates instructor and physiotherapist. After qualifying she worked in both the NHS and in private practice. She has recently moved to Oxfordshire and is a full time Musculoskeletal Physiotherapist at the Nuffield Orthopaedic Centre. Bridget teaches our Tuesday evening pilates classes in Woodstock. She really enjoys seeing how her clients’ strength and flexibility improves as a result of doing pilates on a regular basis. Kate is a fully qualified acupuncturist and works alongside our physiotherapists to provide complementary acupuncture where required. She also works with her own private acupuncture clients. With a keen interest in holistic therapies and healthy living Julia studied Reflexology at The London School of Reflexology, gaining a 7 Unit Level 3 Diploma in Reflexology with the examining body ABC Awards. She is also trained in Pre-conceptual and Pregnancy Techniques. Reflexology can help you to cope with the stresses and strains that the demands of today’s lifestyles bring. It relaxes and calms the mind and emotions, enabling your body to rebalance itself naturally. Julia is a member of the Association of Reflexologists and the Complimentary and Natural Healthcare Council. Nikki teaches yoga classes as well as one to one yoga and mindfulness sessions at our Pilates Studio in Chipping Norton. Click here for full details.